Lord Cyclonius. 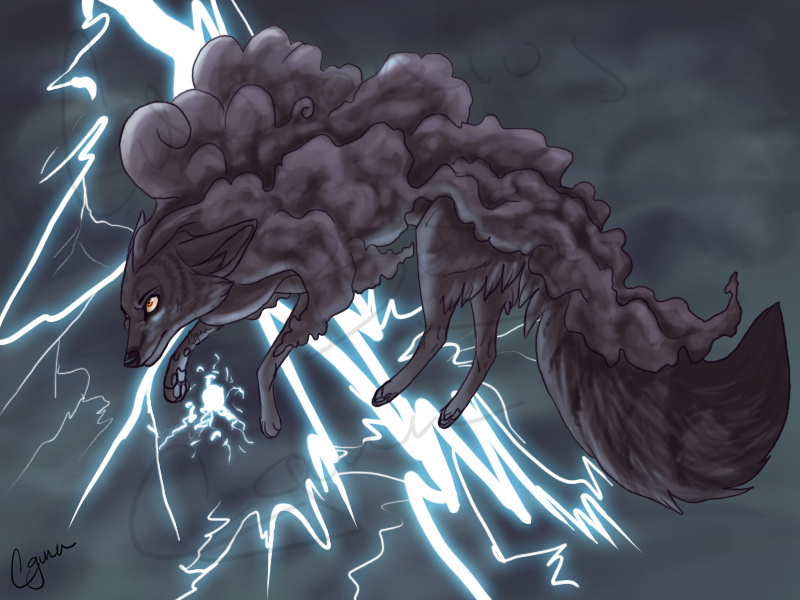 A Storm Fox. I dunno. I was looking at the clouds a while back and imagined I saw some foxes running through them. Then instantly I had this idea. A fox that basically is part of a cloud. Or the cloud is part of it. Not really an original concept, I'd imagine. But I thought it was cool. Not to mention, he's extremely fun to draw. I have a little story about him and some other sky foxes. As you'd imagine, Lord Cyclonius is a bad guy, but I love him. lol. I like drawing the "cloud cape" as I call it.